There is always that one person on your list who is hard to shop for. Choosing wine gifts may prove to be an ideal solution! 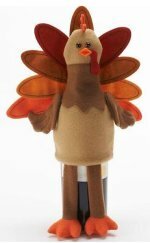 When it comes to holidays and special occasions, a bottle of wine or other wine-related items may surely be the perfect answer. Gifts of wine are classy, individual and make a strong impression. 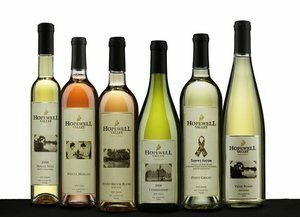 Here at New Jersey's Hopewell Valley Vineyards we get all kinds of special requests around the holidays - from holiday baskets, to wine gift certificates, to wine accessories that we help visitors pick out in our winery gift shop. Soon you'll also be able to conveniently purchase custom-made baskets in NJ or simply wine accessories through our online store as well! When it comes to gifts, wine and wine accessories are ideal for wine lovers. The selection of suitable items is plentiful. Whether it is for someone who is just beginning to discover wine or for a connoisseur, the correct gift does exist. If the gift recipient is a mild to avid wine lover, it is hard to go wrong!! Overall, wine basket gifts are a wonderful gesture. Yet, whether it is wine or a wine-related item, selecting the right present still requires care. This is particularly true when a bottle or case of wine is involved. A gift of wine is endearing, but it also requires awareness in making the most appropriate selection...let's start that process below! Do they usually drink wine as part of a meal, or as an after dinner sipper? If they drink wine at meals - do they consume more red meat or fish? What time of year are you planning on gifting? Summer needs more light-bodied wines, whereas in winter you have much more variety to choose from..
Is this is a 'special occassion' gift? If so, I strongly recommend going with a sparkling wine, like a Spumante Secco, or Spuma Rossa. Is the gift recipient an avid port drinker? While wine makes a quality gift, it is helpful if you know the person and his or her taste in wine first. Another potential option is to talk to a friend of the individual. He or she may have the right information to help simplify your wine shopping. TIP: If none of these approaches is possible, play it safe with a quality dessert wine! Often, a bottle of wine as a gift does not arrive solo. For many special events, wine gift bags or wine gift baskets are common. These frequently contain several wine-related items. Attractive wine accessories, such as designer corkscrews or crystal decanters, are common additions. Various types of other food may also comprise part of a wine gift basket e.g. cheese or seafood. This is an uncomplicated solution. It also ensures individuals obtain exactly what they need or, at least something that matches their taste in wine. When it comes to celebrating a special occasion with a gift, wine says it all. Vintage wine is often the most common and indicated choice. For the New Year, Champagne is always in order. A wedding is fashionable with champagne or a New World sparkling wine. For Christmas, mull over one of several potentials – perhaps one of the seasonal wines, a mulled wine or a late harvest Vidal Blanc. Wine, after all, does have its season. Wine is an elegant gift that expresses thoughtfulness and reflects the taste of the sender and the receiver. Whether it is a fine red wine, a crisp clear white or a cheery red rosé, do take care to pick wisely. Choose for the special individual and/or to mark the special occasion.